It seems the Apple Watch is doing a good job of driving demand of smartwatches. According to a study, smartwatches are the most coveted piece of wearable tech, with 40 per cent of Brits wanting to buy one most. That puts them ahead of fitness trackers (28 per cent), smartglasses (23 per cent) and smart clothing (18 per cent). This marks a shift from last year, when Nielsen reported that smartbands were the most popular wearable devices. A YouGov study also found that fitness devices were more popular with Brits than smartwatches. This is likely down to the Apple Watch driving awareness of smartwatches in general, and helping to grow the market for itself and its competitors. The study was carried out by Apadmi, a company that makes apps for the BBC, the Guardian and The X Factor, among others. It's not all champagne and roses when it comes to wearable tech, however. Last week, a study said that three quarters of Brits weren't sold on the tech. The study, by British Gas, claimed only one in four Brits thought wearable tech would improve their day-to-day lives. Moreover, one in 10 thought the technology would actually make their lives harder. Wearable technology has been touted as the next big thing for years, but it's only now that it's on the verge of becoming mainstream. Apple's entry into the market will have a lot to do with that. Such is its effect that traditional watchmakers like Tag Heuer and Breitling have announced their own smartwatches. With a few exceptions, Apple tends to dominate every product category it makes. 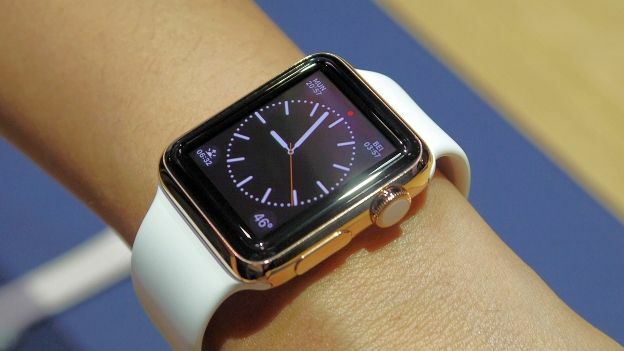 The Apple Watch will go on sale on April 24, with pre-orders starting on April 10. Prices range from £299 to £13,500.